The topic for this forum is facilitating reflective discussion time. From experience this can be a real challenge, but often worth persisting with. Helping parents and carers reflect on their experiences can be very valuable, and ultimately can make a positive difference to their attachment and interactions with their children. So how do you do it? 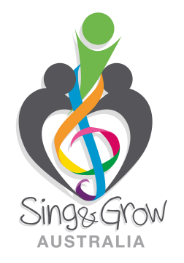 As with all Sing&Grow work it will vary from group to group. I'm interested in hearing about the whole variety of ways that reflective discussions might occur, and also how you decide which method to use. The words we use and the questions we ask can make a difference to the response we get. What questions do you use? How do you help the parent/carer truly reflect? Probably my best "textbook" example of reflective discussion was with a group that was very settled, it was a closed group so even though not everyone came every week, the families were familiar with one another, and we didn't have any random drop-ins (like you get with an open playgroup situation). The room was also reasonably small with no distractions, and helped to contain the families and maintain the focus. There were a couple of talkative mums who enjoyed sharing, and also helped others share by commenting on what they had noticed. What did I do? I posed a question/KPM topic at the beginning for them to keep in mind throughout the session, then before the Goodbye song I asked the question or briefly introduced the topic and then asked for their thoughts. From there I sat back and listened! I made sure I validated people's comments, or clarified points if needed, but they did it so beautifully, they hardly needed me. Then there's the other extreme, where all your efforts are put into simply getting some engagement and participation in the music activities, and getting them to sit down and discuss topics is out of the question! Even with these groups I find you often have all their attention at the beginning - so I still pose the question or introduce the topic, I may also do the brief KPM description then if I think that will be my only chance. Then depending on how the group has gone, and what's happening at the end, I will usually try and go around individually to the families, and get their reflections. Sometimes if the families are chatting it turns into a bit of a group discussion anyway. Please share some of your experiences. If you have tips on how to move beyond the superficial that would be great too. Perhaps some questions that help with that. So for example, you might ask "what did you do today that your child enjoyed?" and the parent answers "He liked me doing the ribbons with him." What could you ask/say next to help the parent link that with the effect it has on their relationship with the child? e.g. "He seems to really enjoy spending time with you" or "How did he change when you started doing it with him?"